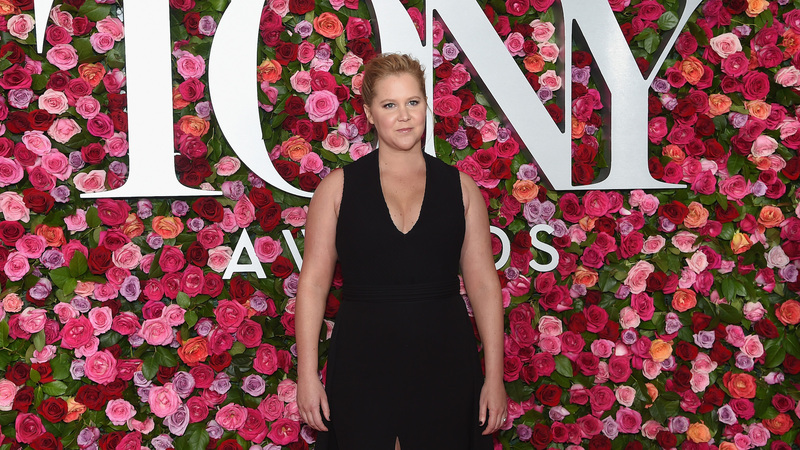 Amy Schumer and the Duchess of Sussex (more commonly known as Meghan Markle) have a lot in common: They’re the same age, they both got married in 2018, and they’re both pregnant at the same time. Rather than bringing them together, these similarities have pushed Schumer to jokingly identify Meghan as her “nemesis” in a new video containing tips for how to stop caring about what other people think. With her personal stylist, Leesa Evans, Schumer has launched a new clothing line called Le Cloud, which aims to combine comfort and style for a variety of bodies. During promotion for the line, Schumer recorded the video for InStyle, wherein she declared that one of her tips for not caring what other people think is to remember: Everyone’s a narcissist. Schumer has long made comparisons between herself and Meghan, even going so far as to photo-edit her and husband Chris Fischer’s heads onto a photo of Meghan and Prince Harry when rumors of her pregnancy started making the rounds. Entertainment Tonight notes that one of Schumer’s Instagram stories from October joked about Meghan handling her pregnancy far better than she was at the time. Honestly, Schumer keeping up the comedy even when she’s having such a tough pregnancy is pretty admirable. She clearly bears no actual ill will toward Meghan or her family, which makes her jokes land — because they aren’t malicious in intent.